888, once known as Pacific Poker, is more well known for their casino, but has recently started increasing in popularity for poker as well. This is due to strong marketing campaigns and enticing promotions. New players can receive a 100% up to $400 on their first deposit. US players are not accepted at 888. 888 offers a 100% up to $400 poker bonus and is currently ranked #24 out of 28 reviewed poker rooms with an overall score of 50.50. 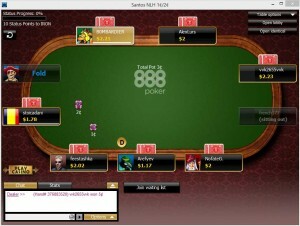 Visit www.888poker.com for more details and to download the official 888 software. There is no bonus code required to activate the 888 poker bonus. The only requirement is it must be your first deposit at their poker room. If you haven’t yet played at 888, you can support Bonus Ace by using our links to visit 888 poker, create an account, and make a deposit. A $400 or larger deposit is required for the full bonus. To clear the bonus, you must earn Bonus Points by playing real money games. The bonus is released incrementally at the rate of $10 each time 100 Bonus Points are collected. This means 10 points are worth $1 and the total points required for the full $400 is 4,000. Bonus Points are earned at the same rate as Status Points, but are used solely to keep track of your bonuses. Status Points can are used to earn Rewards Points and increase your VIP level. 2 Bonus Points are earned each time you pay $1 in rake or fees. Since 10 points are worth $1 of the bonus, and you have to pay $5 to acquire 10 points, the bonus has a rakeback value of 20%. The VIP value of the points adds a decent chunk, 8%, for 28% overall value. The bonus must be earned within 90 days, any remaining bonus balance after 90 days becomes invalid. The total rake one must generate for the $4,00 bonus is $2,000 which means the rake per day pace is $22.22 or 44.44 points per day. This is definitely possible for nearly all grinders. 888 poker is pushing their summer promotion hard, an $88 no deposit bonus. Without looking into the terms, one may think, “Woah, $88 free?! Sign me up!” Easy there, Timmy. While you can earn $88 without ever making a single deposit, it’s damn near impossible to do so. That being said, this promotion isn’t really all that bad for new players as you do get absolutely free money, without needing to deposit. Here’s how it works. 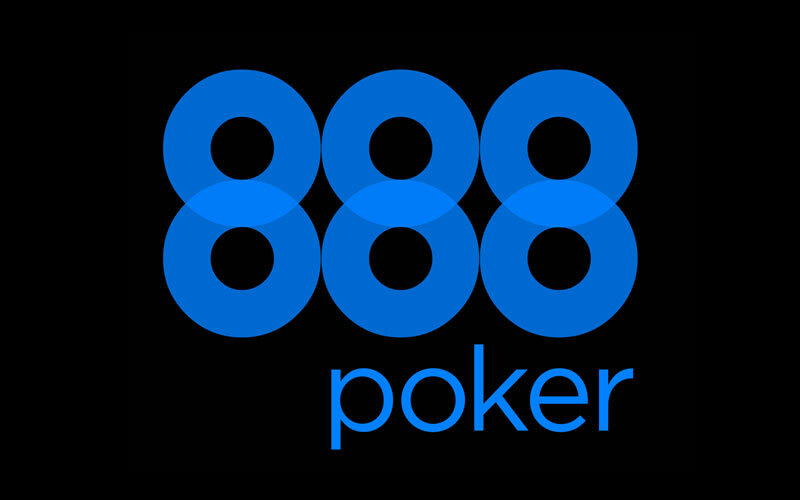 After creating your new account at 888poker and verifying your email address, 888 will shoot you an email. In that email will be instructions on how to opt-in to claim the $88 free offer by simply clicking a link. You have to accept the offer within 14 days of receiving the email or it becomes invalid! Once you accept the offer, 888 will deposit $2 in cash into your account and a total of 6 $1 tournament tickets. So in all, you receive $8. This free money must be used within 7 days or vanishes forever. If you’re thinking, “Wait, that’s not $88!”, you would be right. In order to earn more, you have to collect 250 Status Points. Each time you collect 250 Status Points, 888 will drop another $2 in cash and $6 in tournament tickets into your account. Repeat the process until you earn 2,500 points for the full $88. Players have 90 total days to unlock the full $88. But it doesn’t stop there… If players want to withdraw the bonus, they must earn 2.5 Status Points per $1. So if you somehow manage to earn the full $88, not only will you have earned 2,500 points already, but another 220 will be required, for 2,720 total. The 1,500+ word terms & conditions paint a very different picture. Even though I wish they’d say get up to $88 free, it’s still an amazing way to try out the software at absolutely no risk to you. Even if you never make it past the first tier, you still get $8, without ever making a deposit. Overall, if you can clear the full $88 (which you won’t be able to, but let’s just say you can), the bonus has a value of 7.04%, which is pretty damn good for a no deposit bonus. Just a note, this offer isn’t available in all countries. You’ll have to check with 888 to ensure you can claim the offer. The below table shows an approximation of how many hands it will take to clear the full $400 bonus. These numbers may not 100% exact and should be used as an average to give you a general idea, rather than an accurate amount. This is because the rake generated varies widely based on playing style. In general, aggressive players generate more rake while more conservative players generate less rake. Therefore, if you tend to play more aggressive, it may take you fewer hands, whereas if you play more tight, it may take you more hands. If you’re looking to play now, you can visit 888poker.com now from any device or platform and start earning your $400 deposit bonus! Looking to get started? Signup at 888 through Bonus Ace by using the link above. New players can receive the 100% up to $400 opening bonus offered, described in this review.